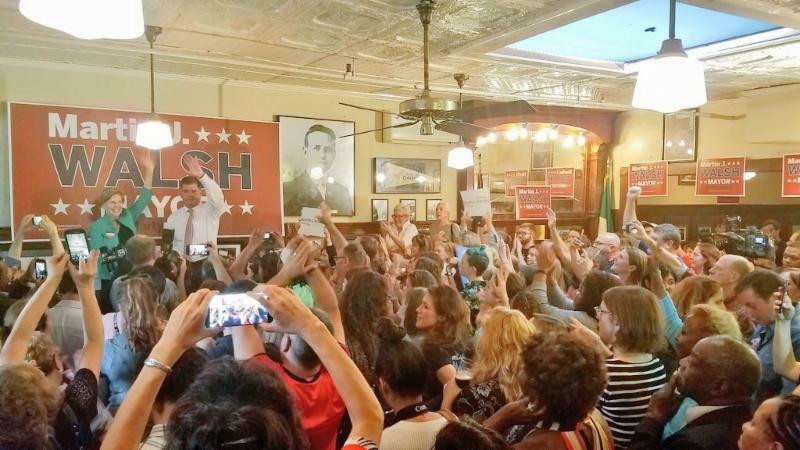 Surrounded by hundreds of supporters at Doyle’s Pub in Jamaica Plain, Senator Elizabeth Warren endorsed Mayor Marty Walsh today citing his progressive record of uplifting Boston’s working families and focusing on creating a Boston where everyone can get ahead. 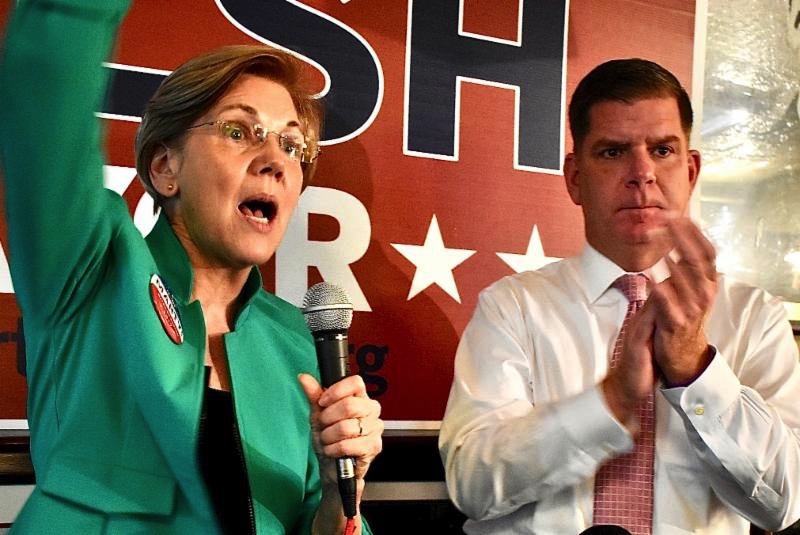 Over the past four years, Mayor Walsh and Senator Warren have worked tirelessly together for the people of Boston, focusing on issues like fair housing, women’s equity in the workplace, education, and immigration. Both have been champions of progressive causes, including their staunch advocacy for the preservation of the Affordable Care Act, which has been beneficial to countless Bostonians. Mayor Walsh also stood with Senator Warren against the travel ban in January and they both stood with women at Boston’s Women’s March.